My inspiration in writing and photography comes from the dramatic view of Dartmoor as I sit at my desk to write. It is there when I walk along the quay at Exeter, in the footsteps of my Grandfather, who crossed the river there on the Butts Ferry each day on his way to work. It comes from holidays in our campervan, and time spent with family. From best friends and coffee, and laughs and jokes. And maybe even in a song that tells a great story. From these things and more, I breathe life into my characters. "A Little Black Dragon Lives Here"
The Little Black Dragon has a taste for adventure that often gets him into trouble. He blew in on the wind one blustery day and landed on the roof of our tiny house on the hill. Before he could fold his wings, or even make himself comfortable, the magic left him and he turned to stone. 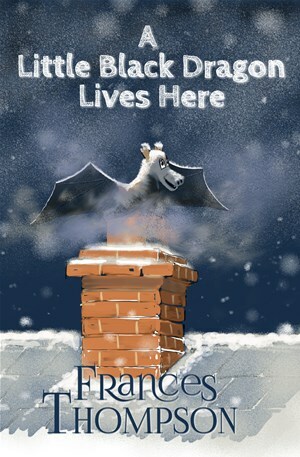 Find out what happened next in this new, illustrated book for children, by Frances Thompson. This is a story of courage and friendship that endures against all the odds. A story that will transport the reader on a high stakes chase through the forests of occupied France.
. . . Nicholas Leech looked at the pilot, then at the Whitley bomber and he asked, "Does that thing fly?"
. . . Abandoned behind enemy lines after a failed mission, Nicholas must place his very life at the mercy of strangers.
. . . Favours come at a price, and Nicholas finds himself in a stinking muddy ditch, talking with a dead man, who wants him to kill a train. "1939 A View from the Hill"
is a book you will not want to put down. "1949 The Other Side of the Hill." There are old scores to settle on both sides of the channel. Old enemies, revenge and a few surprises mean that for some, the war will never truly be over. Book three in the "Decades" series is still in progress. In the mean time, please feel free to explore the Galleries..